Mac users, great news for you all: macOS High Sierra GM (Gold Master) build is now available to download. This is potentially the final build that will be released to the public in a few days from now. Apart from iOS 11, watchOS 4 and tvOS 11 – macOS High Sierra has us excited for a lot of reasons. First and foremost, it’s a major leap forward thanks to the technologies it comes packed with under the hood. Apart from that, it makes the simplest of tasks far more enjoyable before as it cuts down on the software overhead by a huge margin, giving users access to the raw hardware power that lies underneath. Today, you will be pleased to learn that Apple’s desktop operating system has reached its GM phase. This means that Apple has finalized the software and is now seeding it to developers and testers after which it will be pushed to the end user if no bugs and performance hiccups are faced during the time leading up to the final release. If a bug does show up, it will push Apple to release a second GM build, something which happened last year with macOS Sierra. If you have macOS High Sierra installed on your Mac right now then you can update in a few minutes to macOS High Sierra GM. Just launch the Mac App Store, click on the Updates tab at the top and wait for the store to refresh. Once it does, you’ll be presented with the macOS High Sierra GM download. Click on the Update button next to it and it will begin downloading right away. The installation will take a while during which you won’t be able to use your Mac, therefore save all your work in a safe location before proceeding. For MacBook Pro users, macOS High Sierra represents a huge leap forward since it allows you to connect an external GPU to the notebook. This means that you are not limited to the internal graphics of the MacBook Pro if you plan on doing some intensive graphic-related work – video editing, for instance. This feature is applicable to the iMac as well, as long as you have one the newer ones with a Thunderbolt 3 port at the back. 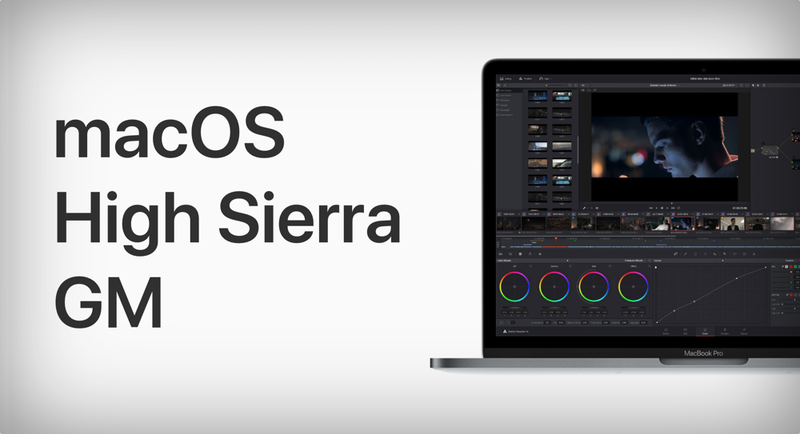 We will be around for macOS High Sierra GM related tutorials, therefore keep your eyes fixed on this space. In the meantime, beta users should update their Macs without giving it a second thought.